Live video monitoring! View your child anytime/anyday! Schedule a FREE tour and start today! Why Choose Our Early Childhood Education Team? The heart of Children’s Leadership Academy is to develop and inspire children to be believers, achievers, and the future leaders of tomorrow. At CLA, Children learn and develop in these core areas; Gross motor skills, Fine motor skills, Cognitive awareness, Social/Emotional, Leadership and Physical strengths. At CLA, our unique approach to child development creates an environment that is fun, flexible, and structured to meet the individual needs of each child. We provide a simple, but meaningful context for what children learn in each of the core areas. Weekly themes on values, character qualities, community, and family provide the reinforcing connections to our curriculum and developmental objectives. CLA also strives toward an educational atmosphere that emphasizes the development of self-confidence, self-direction, positive self-esteem, enthusiasm for learning, and self-initiated exploration. Children’s Leadership Academy was founded on the concept of parents, teachers, and students all working together to create a learning environment that fosters a spirit of community. Parents are encouraged to participate in classroom activities. There are many and various ways in which we encourage parents to become involved in the school such as a classroom helper. We also believe that communicating with parents is very important. Parent-teacher conferences, daily reports, and communication folders are just a few of the many ways that we inform parents about the school and their child. Involving parents is important to us here at CLA. Research has proven that the years before a child reaches kindergarten are among the most critical in their life to influence learning and can have a significant impact on a child’s growth and maturation process. 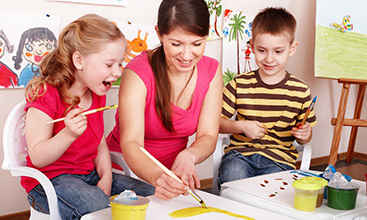 According to the National Association for the Education of Young Children (NAEYC), “early experiences have profound effects on development and learning.” During these years, we strive to provide a strong foundation in both the educational and social emotional domains that provide children with the preparation they need to enter kindergarten ready for success. We also strive to instill the values, character qualities, and skill sets that will inspire them to be the leaders of tomorrow. Through our unique curriculum, our ABCs of Leadership, and our theme based learning, children receive a quality education that equips and inspires. Our programs build self-confidence and provide the direction children need to be achievers and life long learners. 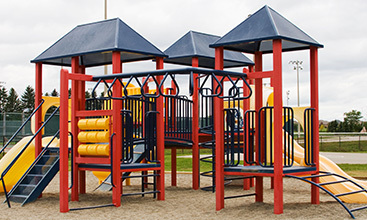 Our academy is approximately 11,000 square feet with three large playgrounds, eight large classrooms, a library, a computer lab, a cafeteria, and two additional play areas. Our classrooms are abundantly supplied with developmentally appropriate resources and learning areas that support dramatic play, math, creative arts, language arts, social studies, science, music, technology, and more. We believe children develop best in a safe, friendly environment. To create a safe and secure environment, we secure all areas of the building, controlling access by requiring software utilization for the sign in/out process and door entry keypad. We also use video cameras to monitor classrooms and outside on the playground. Our teachers are trained in CPR and first aid. Throughout the organization and the center, we require compliance with all state and local childcare compliance laws. Our staff go through extensive training and background checks as well as must possess certain childcare certifications to work for Children’s Leadership Academy. We only use the safest equipment and materials to ensure the safety of your child at all times. Besides the core subjects taught within the regular classroom, CLA believes that extra curricular classes (art, music, physical education, and foreign language) are equally important to produce well-rounded children. CLA prides itself on the uniqueness of its classes. After School teachers plan with the individual classroom teachers to fit their curriculum into the current theme. This provides incentive, real-world learning, continuity, and cross-learning experiences. 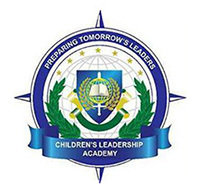 Children’s Leadership Academy will ensure the safety of all, to create an atmosphere that builds respect for others, and to teach responsibility for one’s own actions, the school uses a positive approach to discipline. When necessary, the children are redirected to more appropriate activities. Students are included in the process of establishing limits and expectations, as well as the consequences for inappropriate behavior. Teachers take care to set classroom limits and expectations that are appropriate for young children. If you are looking for a daycare center in Woodstock, Holly Springs, or Canton, GA area, CLA has the perfect learning environment for your child. Our classrooms are safe and constantly monitored by closed-circuit cameras while our teachers and daycare center helpers are closely paying attention to each child/student. At our daycare center, children can have a spacious area as their playground as well as other facilities to help them in their everyday learning and activities. We have eight spacious classrooms, a library with up-to-date book titles and learning materials, a modern computer lab, and a cozy cafeteria where kids can eat healthy. 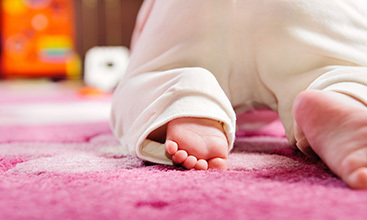 We accept children as young as 6 weeks old to 12 years of age. Here at CLA, our learning approach focuses on developing all aspects of a child’s personality, intelligence, and behavior so he or she can become a well-rounded individual. Learning is enjoyable and structured yet our teachers allow creative ideas to flow.